Promo #1: Save 10% on InTune Focus Blend! InTune is a proprietary blend of essential oils carefully selected for their ability to enhance and sustain a sense of focus. The carefully selected essential oils in dōTERRA InTune Focus Blend work together, supporting efforts of those who have difficulty paying attention and staying on task. 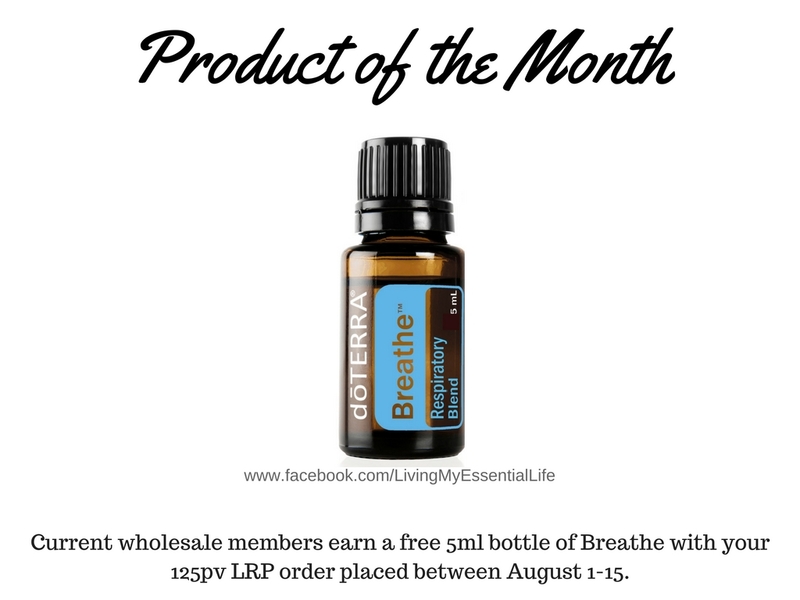 Sandalwood, Frankincense, and Lime promote a sense of clarity, while the benefits of Patchouli, Ylang Ylang, and Roman Chamomile are calming and soothing. 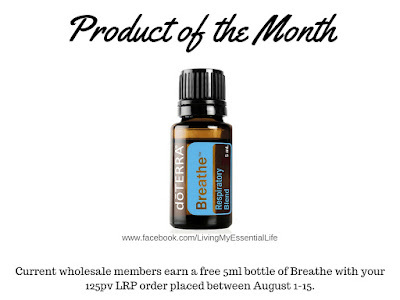 Current wholesale members earn a free 5ml bottle of Breathe with your 125pv LRP order placed between August 1-15. 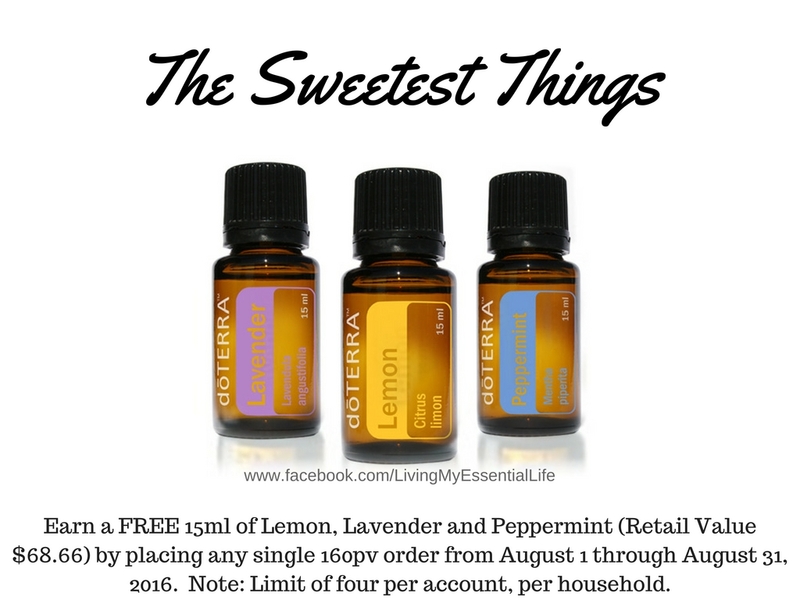 Earn a FREE 15ml of Lemon, Lavender and Peppermint (Retail Value $68.66) by placing any single 160pv order from August 1 through August 31, 2016. Note: Limit of four per account, per household. For more details, click here.